The Kitchener Waterloo Canoe Symposium has sold out for the past six years with an array of great guest speakers. For their seventh year they are moving to a bigger venue (the Theatre of Arts at the University of Waterloo) and changing the name of the event to the Ontario Backcountry Canoe Symposium. Mike Ranta was born in Fort Frances and raised in Atikokan and currently living in Killarney Ont. He developed a love for paddling from a young age and soon learned to appreciate the wilderness at a new level! Mike had more animal friends growing up than people. Mike Ranta is the holder of the record for the longest solo canoe trip recorded in a single season, and is the first person to cross the North American continent solo by canoe in a single season... he's done it twice....with his dog Spitzzi ! Follow along with Mike by following him on Facebook, Instagram and Twitter. As a life-long canoeist and instructor, Stephen loves both canoe skills development and the idea of having as many tools in one's canoeing toolbox as possible. After chancing upon a book on canoe expedition skills, most notably the art of poling a canoe, he has dedicated himself to developing his canoe poling technique and to making a case for reviving this disappearing discipline to any canoeist that will hear him out. Chcek out Stephen's Canoe Polling group on Facebook. Hailey runs a fantastic website called Wild Canoes and you can follow her adventures on Facebook, Instagram and Twitter. As soon as Mercede and her husband Mike decided to have a family, everyone said their canoe adventures would have to be put on hold. Instead, they didn’t miss a beat and headed out on their first family canoe trip with their son when he was 3 weeks old. 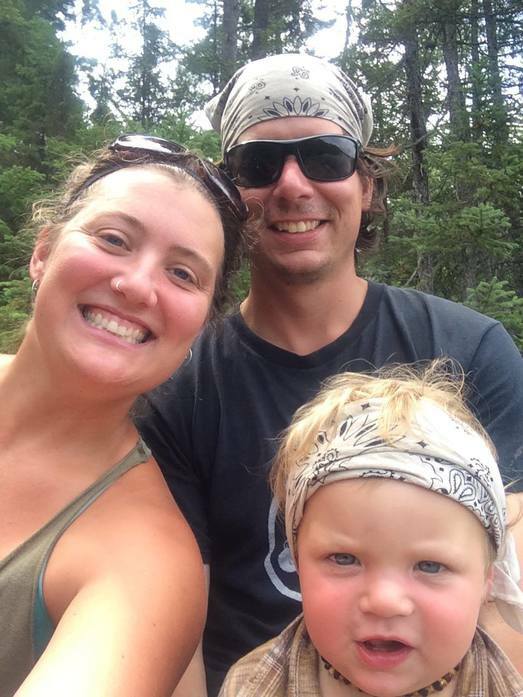 In 2016 they completed a 31 day excursion as a family in the Temagami region. Nature connection and environmental awareness are core values for this family as they aim to spend as much time in the wilderness as possible. Mercede is also the Director of Camp Wapomeo - an overnight traditional canoe tripping camp in Ontario where she is able to share her passion for the canoe all year. A traditional wilderness canoe tripper, guide and traveller in all seasons, Mercede will take you through how her family structures their trips; from route and menu planning to gear and diapers! Follow Mercede's adventures on Instagram. Wallace Schaber was born in Ottawa where as a youth he fell in love with the Ottawa River playing on the log booms and canoeing the tributaries of the Ottawa River. He graduated from the University of Waterloo in Environmental Science in 1974. While at university, he started Black Feather Wilderness Adventures Ltd., which formed the foundation for his summer employment. Through Black Feather, he was given the opportunity by his thesis advisor John Theberge to create a national wilderness outing program for the National and Provincial Parks Association of Canada--a predecessor of CPAWS. This launched his thirty year career as a guiding company in the Northwest Territories. In 1975, he teamed up with Chris Harris another guide/outfitter, to form a business partnership, which they named Trailhead. Their Trailhead retail and outfitting business spanned four decades pioneering a lasting legacy in the Canadian wilderness outdoor recreation and retail field. Both Trailhead and Black Feather continue successfully today. Wally's first book "Last of the Wild Rivers" tells the past present and future story of the last undammed, unsettled ,undeveloped tributary of the Ottawa River which is really the history of Canada reflected in the historic waters of the Riviere du Moine. Andrea has spent 3 decades working and playing in various aspects of the paddle-sports world. 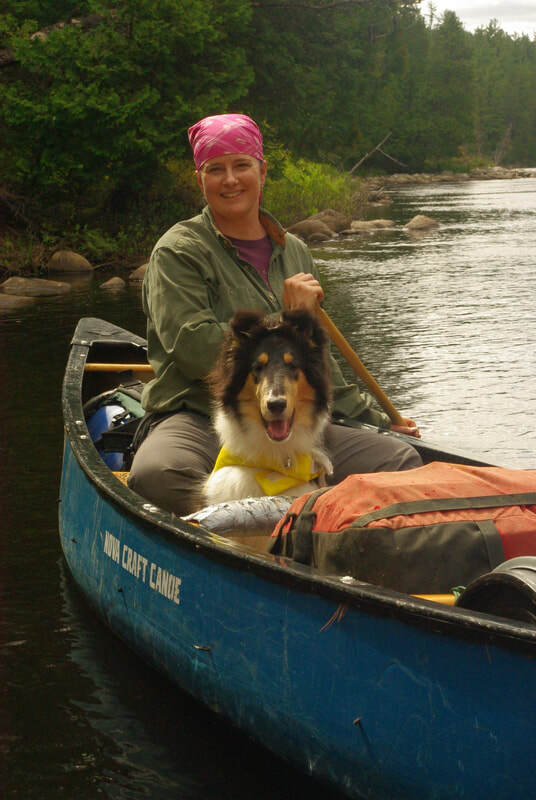 A passionate paddler, she has worn many different “bandanas” in life but has found that they are all tied to her love of canoeing. Andrea will share with you how a “Renaissance” woman takes the adventure stuff she lives for and weaves it into her everyday life. A 3-season paddler, Andrea has covered several thousand kilometers of water travel by canoe from the southern Shield region to the arctic plains. Tickets are $15 for Adults, $10 for Youth (15 and under), and $50 for a family (2 adults and up to 3 youth). Hope to see you there!